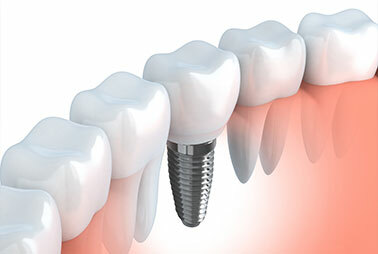 Dental implants are a great way to replace lost teeth. From the front of the mouth, where they can be seen, to the back, where they provide a platform to chew a complete range of foods, implants can assist you in regaining your beautiful and healthy smile. Unlike bridges or removable dentures, which rest above your gums, dental implants are installed under your gums. The “tooth” positioned on an implant seems life-like, because it comes through your gums just like your original did – it’s like growing a new tooth! Implants will replace any number of lost teeth. Even people with no teeth can take advantage of implants, because they can exchange their dentures for teeth that won’t shift around when they talk and don’t need to be removed at night. Because we do the entire process from implant placement to crown fabrication, you usually don't need to be referred to another office. Some patients may not realize that the loss of even one tooth can allow your other teeth to shift and move around. Tooth roots stimulate the growth of healthy bone in the jaw, so as soon as that tooth is gone, bone begins to deteriorate. The post of an implant acts similarly to how the original tooth did, retaining that healthy bone. Filling that space helps prevent the loss of additional teeth. You know that “sunken” look people often get as they get older? This is due to that missing bone, as well as the missing teeth. So getting dental implants can help you keep your fresh young look longer! Plus, the crown placed on the implant can be created to look so natural next to your original teeth that even a dentist would have to look very closely to tell the difference. Dealing with a messy adhesive in an attempt to keep your dentures from wandering while you eat is no solution. At KC Family Dental, we offer our denture patients an alternative – overdentures. By using a few key dental implants to support your dentures, your teeth will be “locked” into place so they can’t move. Yet they easily pop off for cleaning. Say “adios” to nasty creams! 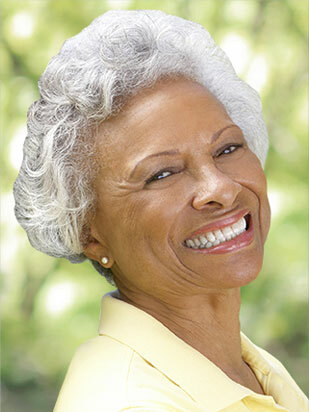 Ask us if you are a candidate for overdentures! For a variety of reasons, many patients are best suited for traditional solutions to missing teeth. Dr. Brent provides great-fitting, custom dentures that are designed to stay in place and work with your natural facial structures. We also offer bridges and partial dentures for patients who still have some of their natural teeth. These are made with high-quality materials, blended to match the rest of your teeth and intended to be strong and durable, so you can still be proud of your smile. Don’t live with missing teeth any longer! Schedule online or call (913) 220-2209 for a no-obligation implant consultation today to determine your suitability for dental implants.